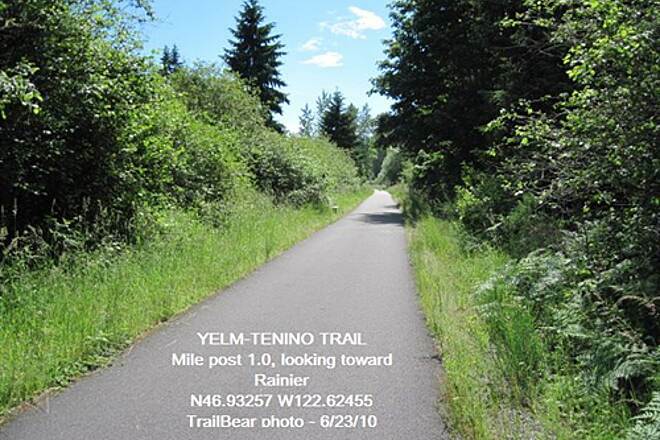 The 14-mile Yelm-Tenino Trail travels through the rural towns of Yelm, Rainier, and Tenino on a paved route through agricultural areas, forests, and wetlands. 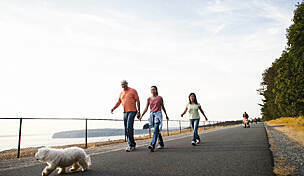 Commuters can access Olympia, Lacey, and other areas of Thurston County on a triad of linked trails. 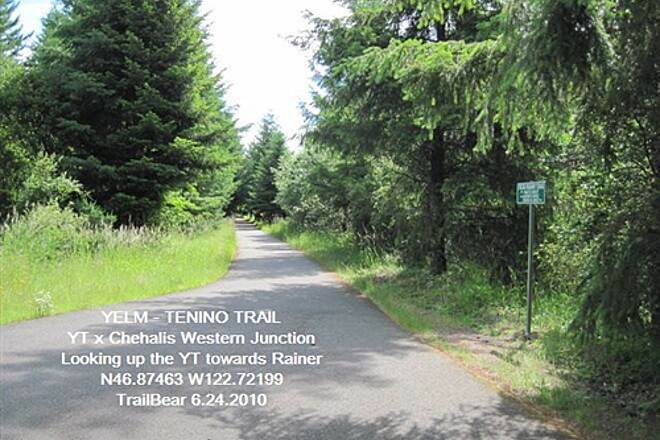 The 21.2-mile Chehalis Western Trail intersects the midpoint of the Yelm-Tenino Trail. 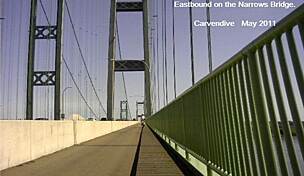 The Chehalis Western then runs north, connecting with the Woodland Trail and reaching the perimeter of Woodard Bay. 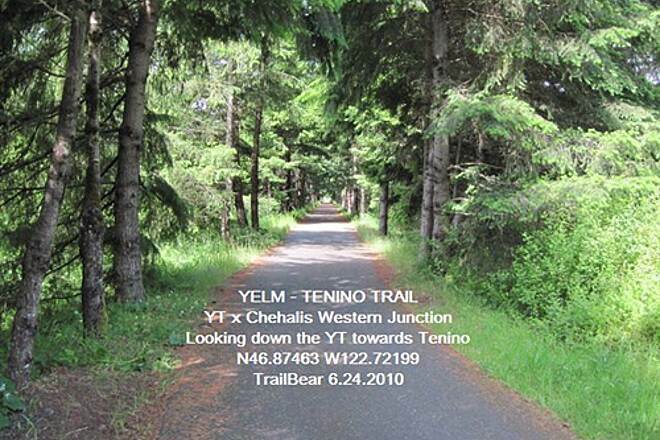 The Yelm-Tenino Trail climbs a gentle 320 feet from Tenino to Yelm. Tenino was the destination of the Northern Pacific Railroad's 65-mile Pacific Division line between Kalama and Tenino as early as 1872. 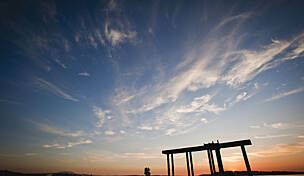 In 1874, a 40-mile line was built through Yelm to Commencement Bay in Tacoma; this line operated as a Burlington Northern line until the late 1980s. Tenino, known as the Stone City, built a sandstone depot, now the Tenino Depot Museum, in 1914 along the main line from Portland to Tacoma. 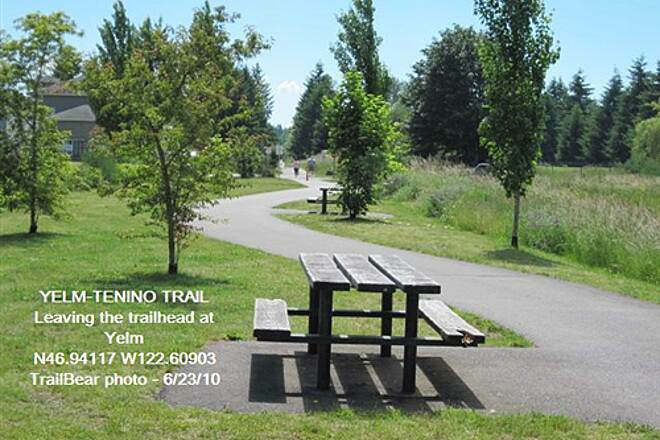 You can start your journey at Tenino City Park, adjacent to a campground. After running past a few homes, a ballpark, and restrooms, the route begins to parallel State Route 507. The forested path then crosses Military Road to rise above SR 507. The road is never far, but a swath of fir and maple trees provides a barrier. A historical kiosk precedes 1 mile of scenic forest trail beside McIntosh Lake, where herons come to watch trail users. 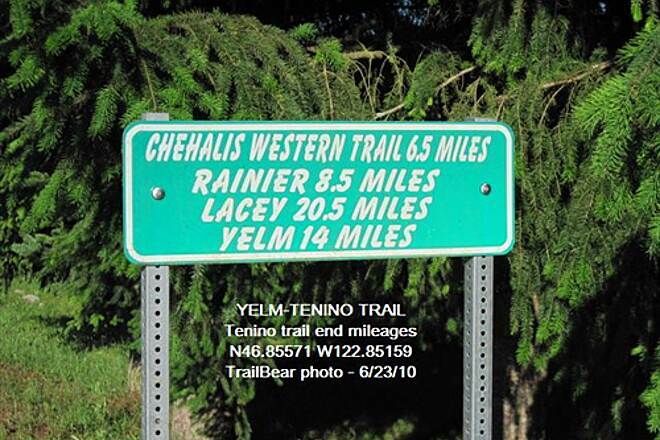 At 6.5 miles, you'll reach the intersection with the Chehalis Western Trail. The Rainier trailhead lies just 2 miles farther. 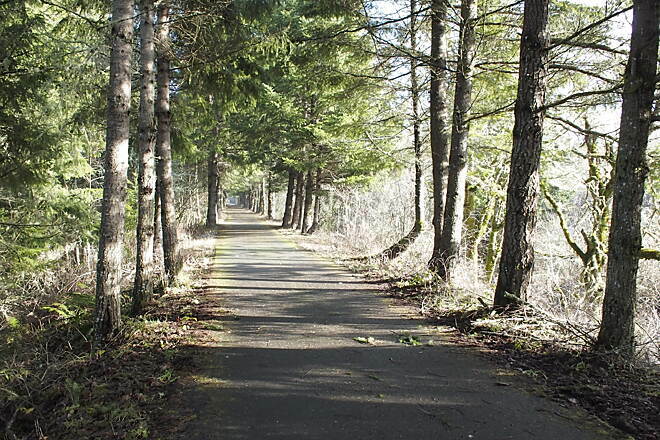 The landscape widens as you pass through Wilkowski Park and cross under a trestle. 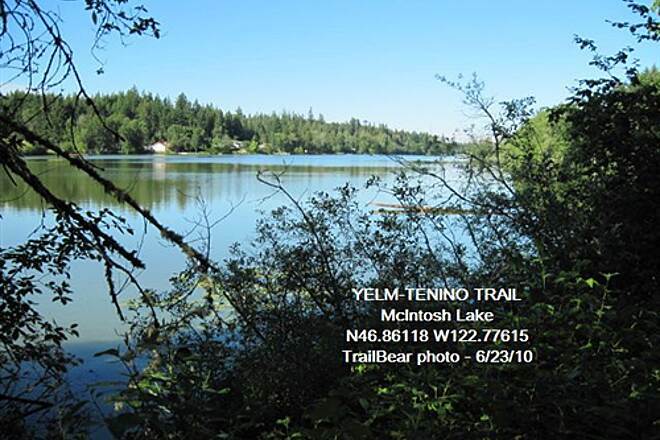 The trail runs closer to the road for the next 5 miles as it approaches Yelm, eventually ending at the trailhead on Railroad Street SW.
To reach the Tenino trailhead from Interstate 5, take Exit 102, Trosper Road SW/toward Black Lake. Head east on Trosper Road SW. In 0.3 mile, turn right onto Capitol Boulevard SE, and go 1.9 miles. Continue on Old Highway 99 SE for 9.1 miles, and turn right at the T-intersection onto Sussex Avenue E/SR 507. Immediately turn left onto S. Ragless Street. In 0.1 mile, turn right onto Park Avenue E. Turn left at the entrance to the city park at 309 W. Park Avenue. 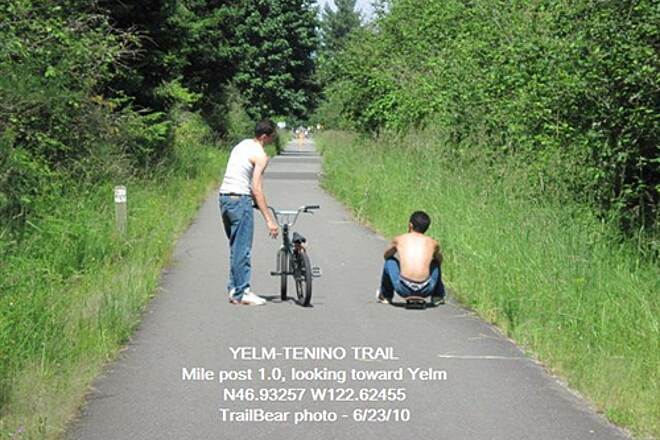 To reach the Yelm trailhead (behind City Hall on Railroad Street SW) from I-5, take Exit 111/SR 510. 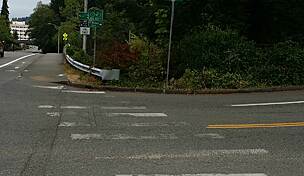 Follow SR 510 southeast for 12 miles (making a few turns to remain on SR 510). Turn right onto Railroad Street SW. Find the trail at the corner of Washington Street SW. The Rainier trailhead is on Centre Street just off SR 507. From I-5, take Exit 109. Head west on Martin Way E, and immediately turn left onto College Street SE/Rainier Road SE. After 13.9 miles, veer right onto Minnesota Street N. In 0.3 mile, turn left onto Binghampton Street, and then make an immediate left onto Centre Street N. Trailhead parking is on the left. We rode this trail today on a cloudy day and it was beautiful and remarkably well maintained! 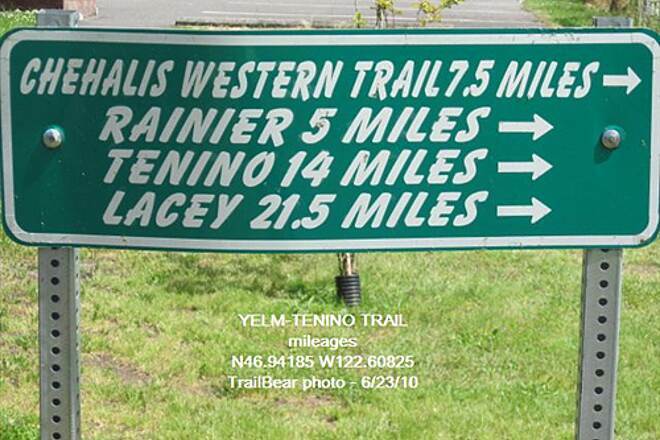 Started in Tenino and the trail was excellent all the way to Rainier. A little rougher between Rainier and Yelm due to roots under the trail but it is all well marked and safe and a pleasure to ride. This trail is accessible for all ages and abilities and there is the opportunity to stop and eat at Sonja's, an amazing little restaurant in Rainier! Will definitely ride it again! Thank you to all who have maintained this lovely trail. 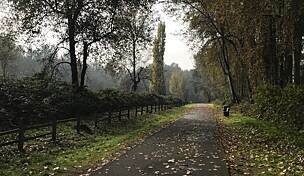 If you are looking for a trail to ride to prepare for Seattle to Portland bike ride, I would highly recommend this trail along with the Chehalis West trail. 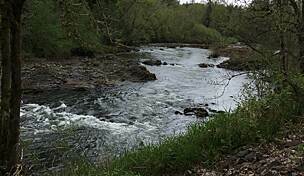 Start in Tenino and ride to Yelm then back towards Tenino where you can catch the Chehalis West Trail and ride toward Lacey. Great park in Tenino where you can park your car. Not a lot of people on these trails. 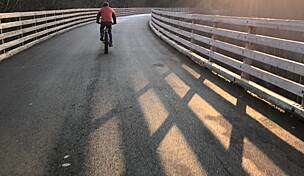 If you truly want a wonderful bike trail that takes you straight from point A to point B and includes an entry to the Chehalis Trail then this is the one for you. Dont forget to take a stop at the Sandstone Cafe in Tenino!!! If there was a challenge on this trail, it would have to be the return ride where there is a slight incline for miles and miles! SHIFT, SHIFT, SHIFT. So worth it though. 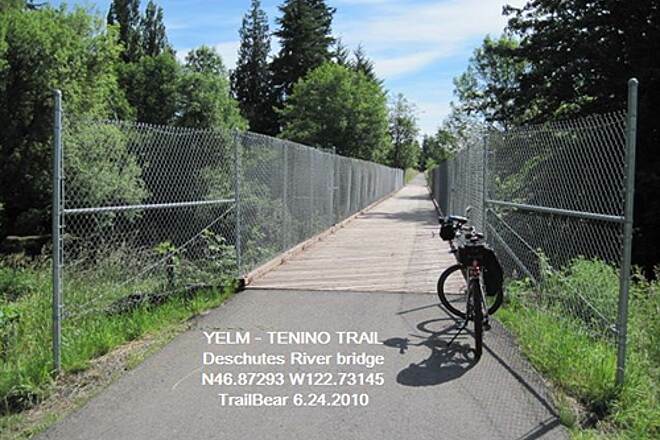 Fourteen miles from Yelm to Tenino, and only gradual elevation changes due to its rails-to-trails origin. "Civilization" at both ends for food, break time, repairs, etc. Hade a great time on the trail, on 11Oct. What a nice asset for the community! We stopped in Rainer for a nice lunch at Sonja's and yummy cookies from the Cookie store. It was a cloudy day with the threat of rain on the horizon, but our spirits were not dampened and we perservered. 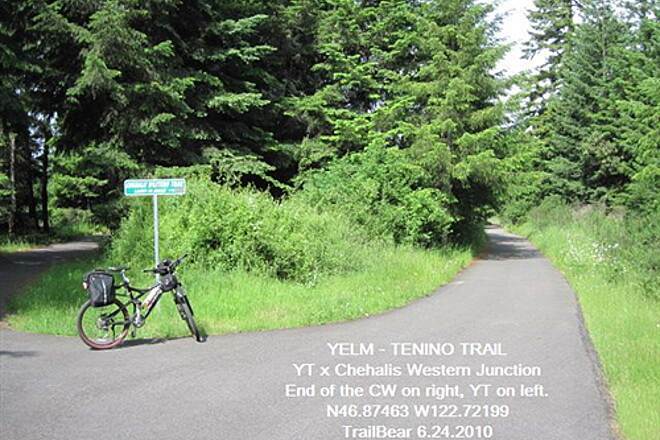 We took the Tenino to Yelm and back route and it was in my opinion, the way to go. Some of the root heaves have been ground down a bit, but are still there. Root heaves have been marked with spray paint, so watch for that and you should be fine. There is a nice espresso stand and burger place right off the trail in Ranier, which makes for a nice pit stop no matter which way you are traveling. The public restrooms in Ranier were closed at the moment, but a porta-potty near the aforementioned espresso stand was a welcome respite. The down side of this trail is the graphic graffitti on the trail map at the end point in Yelm. It made me glad we didn't have the kids with us on this trip. Sadly, no public restrooms at the turnaround either. 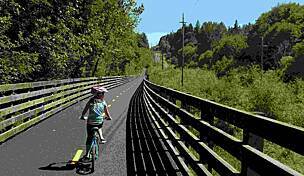 Thurston County has over 40 miles of good Class I trails, making it something of a Destination. There is enough to ride here to make the trip worthwhile. The TrailBear spent two enjoyable days down there surveying the trails. The county runs a pretty good system. Millersylvania State Park was the campground of “choice.” MSP is not our favorite state park, but choices are limited here, so… we chose it. 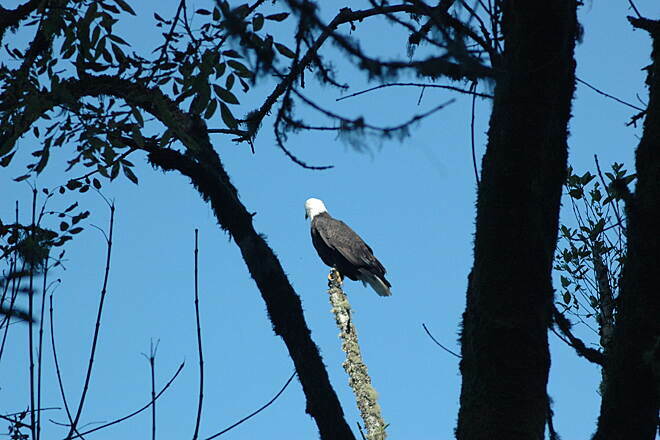 5* = Scenery: Nice rural ride – trees, shrubs, meadows, villages, creeks, a lake. A green ride. 5* = Trail surface: By and large smooth blacktop. Some root heaves. 3* = Facilities: Trail heads not lavishly equipped. 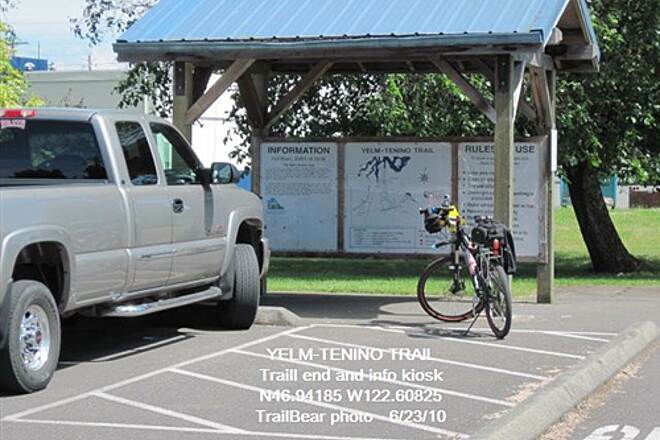 No restrooms or water at Yelm trailhead. Best you bring what you need including extra water. 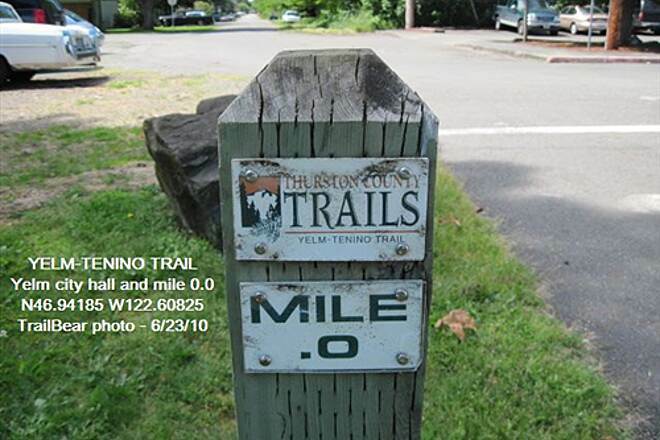 3.5* = Signage: Mile posts at 0.5 mile intervals. Distance To signs at ends and junctions. This is a pleasant rural ride. It mostly runs alongside the highway (usually out of sight), but the flip side of that is you can access the trail from almost any road which crosses it. There is often access parking for several cars at these points. You can stage out of Yelm, Rainier or Tenino. 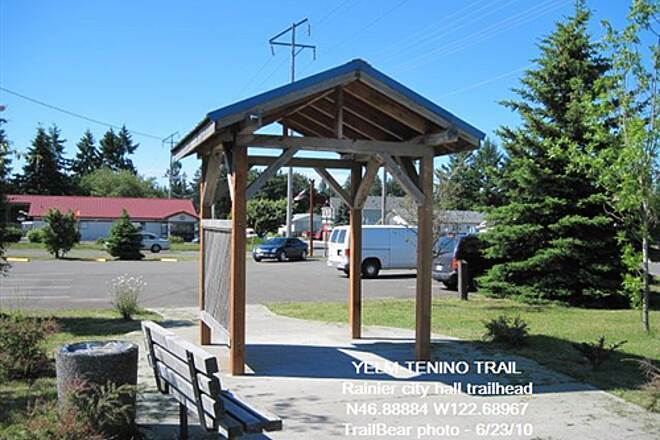 There is a new trailhead with portapotty in Yelm, lots of parking and a handy trailside store in Rainer and a full service trailhead at the Tenino City Park. If you are thinking of riding up the Chehalis Western, then stage out of the lot by the Rainier city hall. 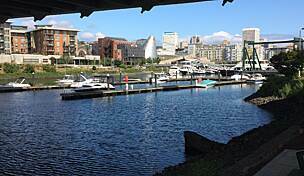 That is the closest good access to the junction. The access parking at Waldrick and Military Rd. is both limited in space and features a Large puddle. 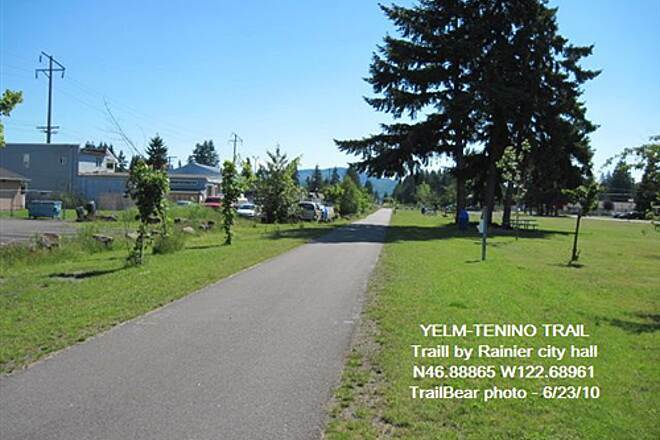 The trailhead is behind the city hall in Yelm. This is about a half block west of where 510 and 507 meet in the center of town. There is parking (city hall lot), a covered info kiosk with data, map, bench, mileage sign, etc. No water point or restroom was seen. Try city hall. 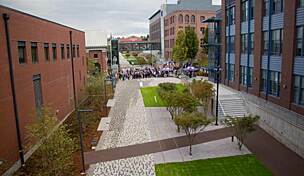 This is a 1.5 mile extension and a City of Yelm project, not Thurston County. It starts just across 510 from city hall (cross at the light). Look for the wagon wheel sign. There is a new trailhead at N46.94531 W122.60141 with a portapottie, tables, a PC pervious parking lot, nice info kiosk, etc. As you enter Rainer you will notice a park on the right with a restroom. It may or may not be open, but there is a water tap and picnic shelter. Carry on to the city hall where you will find a trailhead info kiosk, bench, parking and portapotty. Additional parking is found down trail from the city hall at Rochester and Minnesota. The trail here is developed as a strip park with tables and trash containers. For supplies, try the Rainier Mini Mall market alongside the trail. Cross the muddy Deschutes River (which is nothing like the Deschutes in Oregon) on a less than impressive bridge. 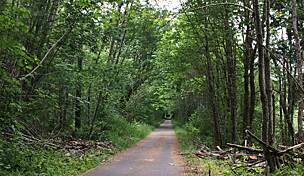 TrailBear has seen better: Head down the road to the eastern end of the Willapa Hills Trail. 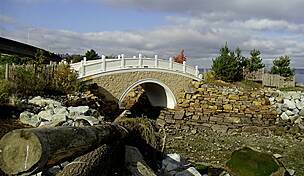 They have two classic bridges. Here the cyclone wire fencing adds a certain touch of Gomer to the décor. Very down market. 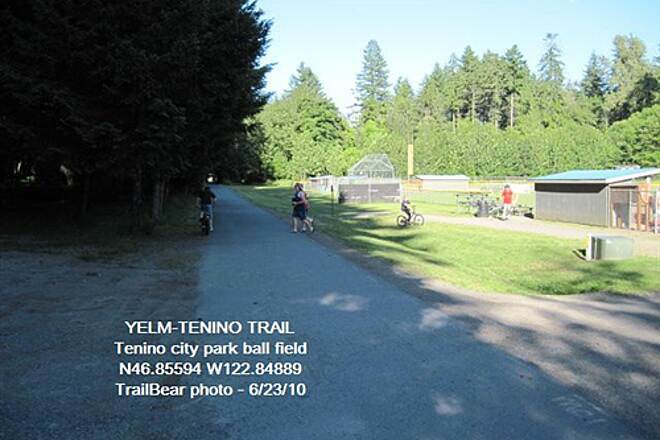 The Tenino City Park is a long strip of land on both sides of the trail. You first hit the baseball diamond where there is a water tap and flushies. If these are closed, there is another set uphill and another at the tot lot further down at the trail end. If all else fails, there is a Thriftway market a few blocks over. TrailBear and Dear Wife bought a half gallon of ice cream there and took it back to the park to watch the ball game while the ice cream vanished. (The day had hit 81 degrees for a real change.) Melted, it did. Really. This is the end of the line. The Right of Way, in ballast, continues on down to Chehalis, about 12 miles to the south. Some day the trail may continue that way, but not this week. Which way are you going? It’s 20.5 miles back Lacey via the Chehalis Western or 14 miles to Yelm on the Yelm-Tenino. Best get going. TrailBear is headed back to that swamp they call Millersylvania.